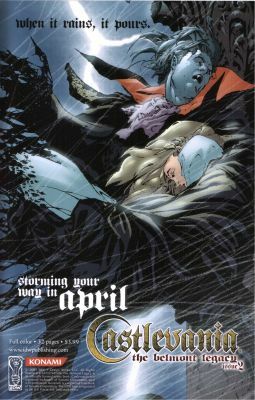 In 2005, IDW Publishing released several comic books based on various Konami properies, including Silent Hill, Metal Gear Solid, and, of course, Castlevania. 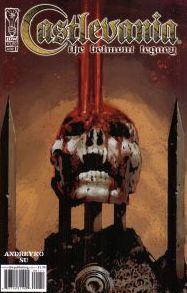 Entitled "Castlevania: The Belmont Legacy", the story focuses one of the least popular characters in the series - Christopher Belmont, hero of the original Gameboy titles. Though this may be an odd choice, it does its best to flesh out this long-ignored Belmont, especially since he's seen so rarely in any official artwork. The story begins with a nightmare - Christopher has nightmares of the resurrection of Lord Dracula, whom his family has been fighting for centuries. 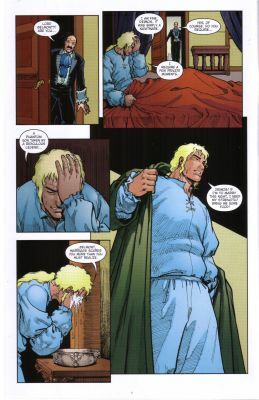 He awakens and casts them aside, as he has more important things to take care of - the wedding to his dear love Illyana. While they spend their night in bliss, the evil Bartley family succeeds in resurrecting the dark lord Dracula once again. When Christopher finds the Belmont family graveyard defiled, he knows that he must take up the Vampire Killer once again and destroy the lord of the vampires. His quest is aided by the Totoyan clan, who apparently have aided the Belmonts in the past. Christopher is also joined by his wife, who is a fair asskicker herself and not content in sitting around while her husband destroys evil - although, in typical manner, she herself gets kidnapped by Dracula. The story and writing is nothing spectacular, although there are a handful of references to please Castlevania fans. Other than the intertwining relationship with the Bartley family, Christopher opens up a case from his ancestors and finds all of the classic weapons. Although the first chapter is mostly exposition, the remainder is primarily action, with lots of whipping and stabbing and women calling each other whores. 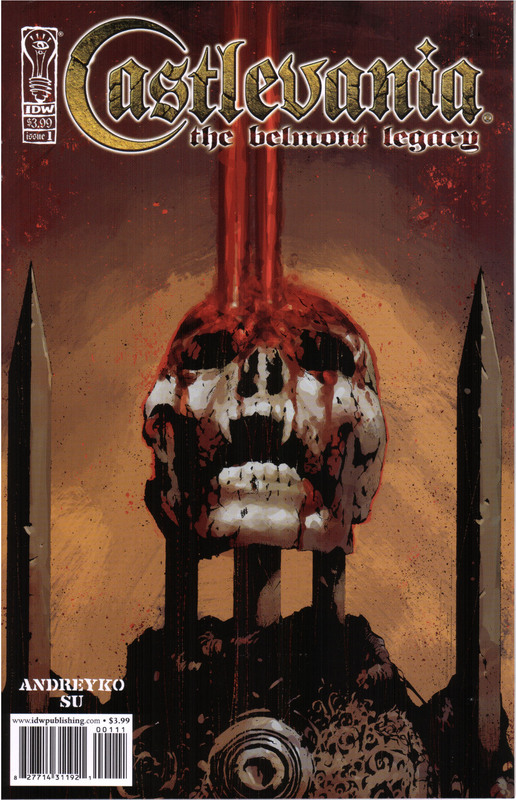 The artwork is also just kinda mediocre, although not being a huge fan of contemporary comics, I can't say whether it's much better or worse than anything out there now. It certainly lacks the distinctive artstyles found in the other Konami-branded IDW comic books. There is nothing particularly special about The Belmont Legacy. It very well could be just another generic tale about vampire hunters, except with a bit of Castlevania name-dropping. To be fair, the series has never really been about great storytelling, so the best you can say is that it adequately resembles its namesake in that respect.